Follow us on Face Book and Twitter! S.O.S. was on fox 11 news again this morning this time in studio talking with Emily Deem. Check out the video clip and learn about what we do! Thanks everyone. Team S.O.S. S.O.S. was featured on good day Wisconsin with Angela Kelly live on location at the Bellin Building. The team went over how we investigate as well as showing equipment and letting Angela try her hand at some investigating. We had investigated this location in the past and did have some activity so it was great to be allowed to share the location with the public. Thanks for tuning in to fox! Team S.O.S. S.O.S. WAS ON FOX 11 10-27-11 HERE ARE THE VIDEOS AND THE STORY! Members of S.O.S. Investigated in Green Bay say they do it all year long. believe to be evidence of paranormal activity. "Emma"-- the wife of the sheriff who used to live in the jail. To learn more about S.O.S. Investigated, click here. We were featured on Fox 11 early show here is some info on an acctual investigation. 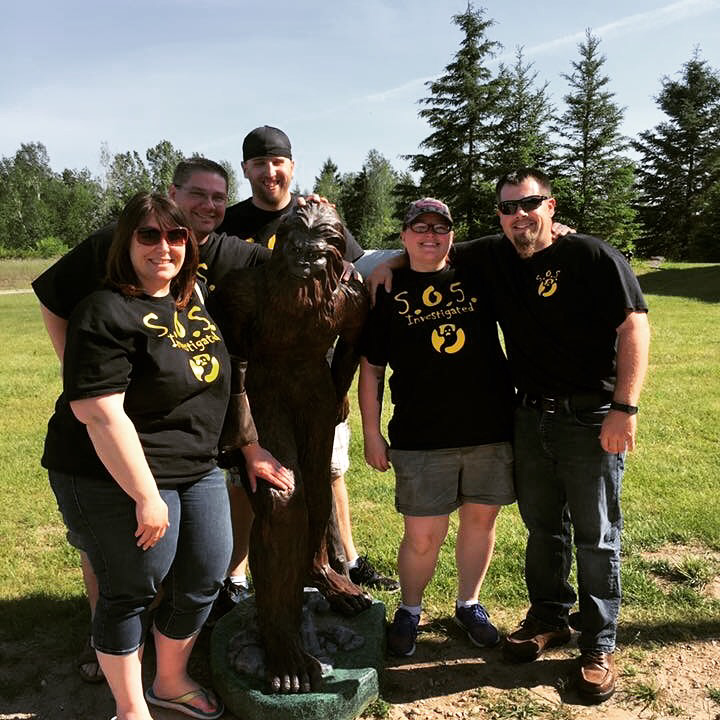 GREEN BAY - S.O.S Investigated is a local group of ghost hunters that have 15 years of experience in the paranormal field. FOX 11's Emily Deem met up with some members of the group, Sunday morning, to see what they are all about. S.O.S stands for, Shadows of Spirits. The paranormal group does not charge for investigations. Cory Jandrin, is the founder of the group and said their main priority is to help people. "Usually if someone contacts us, it's to help them figure out a problem they may have," Jandrin said. "We try and figure out the history behind each of our cases." Many people don't believe in paranormal activity and Jandrin said you almost have to experience it to believe it. "Some people say they won't believe it until they've seen it," Jandrin said. "And most of the time that is true. At S.O.S we don't make anything up. We have our evidence to prove it." "There is a lot of unfinished business in this world and that is why we find a lot of activity on our hunts," Jandrin said. "But majority of the activity we find is mostly positive."